The Messenger Muhammad (saw) said, "On the Day of Resurrection, nothing will weigh heavier upon the Scales than good character" (Abu Dawud and Tirmidhi). The scholars of the science of Sufism explained the way to live the guidance of the beloved Messenger of Allah (saw), outwardly and inwardly, and guided people toward the perfection of good character and spiritual realization. 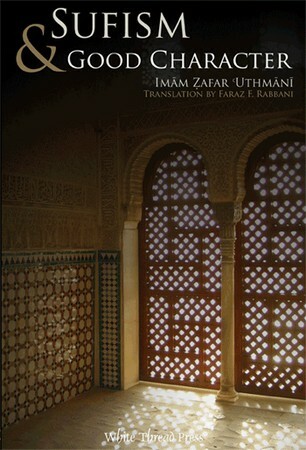 In this work, Imam Zafar Uthmani presents key Prophetic sayings related to good character and explains their implications for those seeking the spiritual way. To further the benefit of the book, commentary on many of the ¡adiths has been added from the classic works of Mulla Ali al-Qari and Mawlana Ahmad Diya' al-Din al-Kumushkhanawi. Imam Zafar Ahmad Uthmani was one of the greatest hadith experts of the 20th Century. His 18-volume work I'la' al-Sunan, of which this work is the final chapter, is widely regarded as one of the very best presentations of the legal reasoning and proofs of the Hanafi school of Islamic law.